Luz Rivera was born in Humacao, PR and spent her early childhood years there before her family moved to the United States in search of better opportunities. Luz grew up in one of the toughest neighborhoods of Harford, CT. She was an ELL student and went through the struggles of becoming familiar, not only with a new language, but with a new culture as well. Despite the difficulties, Luz was driven and inspired by teachers to become anything she wanted to be. Luz moved back to Puerto Rico with her family in her late teenage years in 1992. She finished high school with high honors, went to University of Puerto Rico where she completed a BA in English Elementary Education with a minor in Secondary English Education. While teaching English in an urban school in her hometown of Maunabo, PR, she went on to complete a MA in TESOL. After 12 years of teaching in Puerto Rico, she decided it was her own time to pursue other opportunities and moved back to Connecticut where she landed a teaching job in Bennie Dover Jackson Middle school in New London as an ELL teacher in 2012. From there, she continued on to a teaching position as a Dual Language teacher and later on as a Dual Language Instructional Coach. She enjoyed helping others and supporting instruction by providing PD, analyzing student data and working on the best practices for Dual Language and ELL students to be successful. Her life experiences helped her relate to many urban students and their needs. Helping students succeed was her passion. Luz has had many opportunities of growth by attending professional development with known names in the coaching and education field such as Elena Aguilar, author of The Art of Coaching, Thomas and Collier, gurus of Dual Language education, and most recently she has attended conferences with Fountas and Pinell for Literacy Collaborative. She has also expanded her support to Dual Language by becoming a presenter for MABE (Multistate Association of Bilingual Education) and providing district-wide presentation on ELL and best strategies. She decided to get a step further and give back to the community that saw her grow up. She got her Sixth-Year in Educational Leadership through CCSU and LEARN. 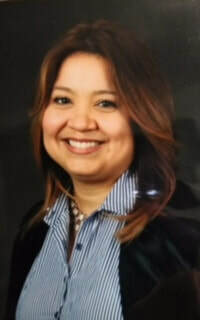 During her studies at CCSU, Luz applied and was the winner of an Educational Scholarship from CALAS (Connecticut Association of Latino Administrators and Superintendents) and joined the organization afterward. CALAS was a great opportunity and gave Luz an inspiration to continue her endeavors. She has participated from their networking events and professional development conferences. She is proud to be a member of CALAS and has seen the great impact it has to help the Latino educators and administrators in the mission of providing quality education and experiences for our Latino students in CT. After 19 years of experience as an educator and acquiring her administrator certification in CT, Luz was hired as the new Assistant Principal at The Friendship School in Waterford, CT run by LEARN. Luz is currently partnering up with LEARN as a member of the RESC MTR (Minority Teacher Recruitment) District-wide Committee to support minority teacher recruitment and retention. It has been quite a rewarding experience and Luz is sure that the journey doesn’t end here. She is full of exciting ideas and willing to expand her support to our Latino community and continue to partner up with CALAS to make its mark in Connecticut a permanent one.